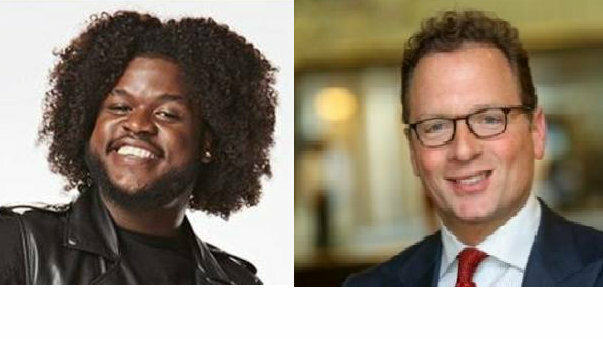 Above: The mayor’s odd couple: “Voice” contestant Davon Fleming and media consultant Gregory Tucker. 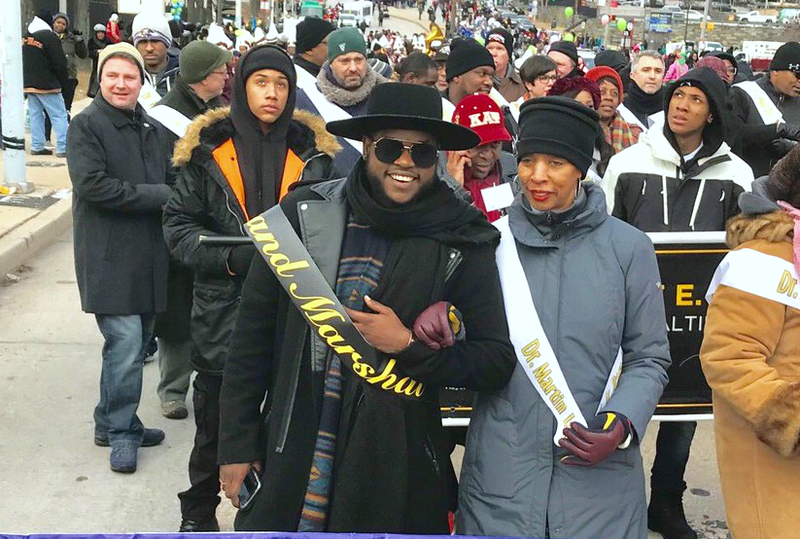 Earlier this month, a senior auditor flagged two contracts that Mayor Catherine Pugh really wanted – to hire former “The Voice” singer Davon Fleming and ex-Transamerica insurance flak Gregory Tucker. The auditor said the proposed contracts – sole source and classified under the rarely used designation of “non-construction consultant agreements” – lacked proper documentation. Her concern panicked the mayor’s office, who called in the city’s chief contract lawyer, according to a thread of emails obtained by The Brew. “Is this necessary?” Michael Schrock asked auditor Gloria Harper, brushing aside her concerns. Two days later, Harper approved the expenditure of $105,000 for Fleming and Tucker. 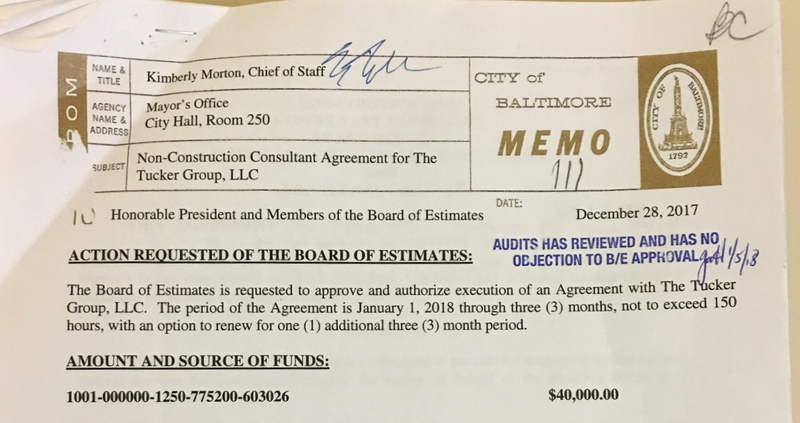 The following week, the Board of Estimates – controlled by Mayor Pugh and including Comptroller Joan Pratt and City Council President Bernard C. “Jack” Young – unanimously ratified the expenditures. “In the future, will you make sure that Audits receive an advance copy of all contracts,” the auditor wrote to the mayor’s office. To call the swiftness with which these contracts were approved “out of the ordinary” is an understatement. Items before the BOE typically take from four to eight weeks to navigate the bureaucratic hoops. And when there’s a “controversial” award, say, when a rejected bidder threatens to “go public,” the contract may be delayed for months – or scrapped and rebid. In the case of Fleming and Tucker, their contracts took 14 days from start to finish, and that includes the New Year’s Day holiday. On December 28, the mayor’s chief of staff, Kimberly Morton, proposed the two hires in a memo to the board. On the same day, the Bureau of the Budget (which is supposed to scrutinize spending items not in the current budget) approved the expenditure of $65,000 for Fleming and $40,000 for Tucker’s consulting group. Typically, services provided for agencies are processed through the Bureau of Purchasing, both sole source and competitively bid. Consultant services are prequalified by the Office of Boards and Commissions. By being classified both as “non-agency” and as “non-construction consultant,” the Fleming and Tucker agreements bypassed those procedures. Instead, all they needed was the seal of approval of the auditor’s office. That’s where the hiccup occurred. On January 3, Gloria Harper, a veteran audits supervisor, informed the mayor’s office that both contracts needed supporting documentation. To backtrack a bit: Fleming is a 26-year-old Park Heights native who made a splash as a contestant on “The Voice” TV show. After he was eliminated from the competition, he was given a hero’s welcome at BWI Airport by Mayor Pugh. He subsequently performed at the mayor’s candlelight vigil for the families of homicide victims in Baltimore. “As a consultant to the Mayor, Mr. Fleming will develop the operation of a program for City youth that focuses on the performing arts and community enrichment,” the mayor’s office said. But where was the documentation of Fleming’s experience to satisfactorily perform such work? Or his job history? 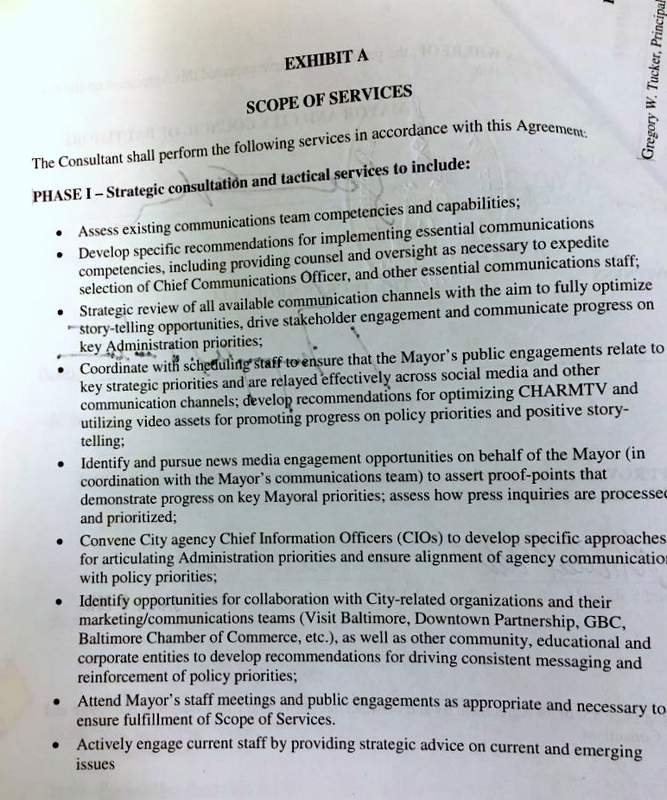 “Please provide his experience doing this scope of work and have it certified (Certification Statement),” Harper wrote to Renee Newton, assistant to the mayor. No documents were provided to show the work history of the mayor’s prized singer. Harper also spotted problems with the mayor’s request to employ Tucker as her public relations and image-building consultant. First of all, what was the legal status of the company the former insurance executive set up to receive city funds? Harper asked Newton for the “certificate of status” showing that The Tucker Group was a legitimate company. And where was the documentation showing that “they had performed this type of work before,” she wondered. That’s when Schrock was called in. The lawyer informed Harper that The Tucker Group “was just created” – two days earlier, on January 1, 2018 – and was not a group of professionals, as its name implied, but instead consisted of one person, Greg Tucker. The lawyer informed Harper that The Tucker Group “was just created” two days earlier, on January 1, 2018. The company had no track record, but “his [Tucker’s] biography and resume show prior work experience at corporations/nonprofits providing strategic advice for communications and media,” Schrock argued, saying there was no need for further evidence of his experience. Davon Fleming was a different matter. Last week, The Brew reported that Fleming lost his driver’s license after he failed to appear in court over two traffic tickets and fines of $373. His case is still open, according to online court records. 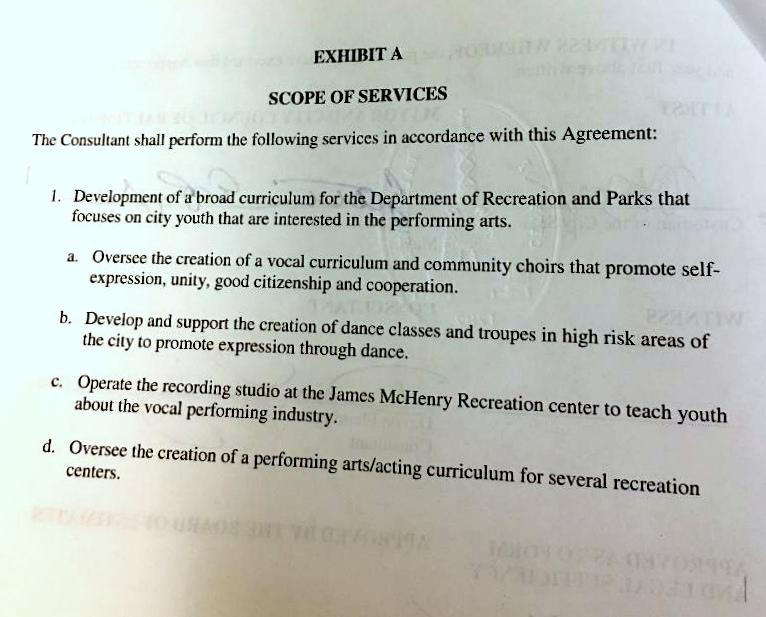 In reporting that story, we sent questions to the mayor’s office requesting the singer’s work history and credentials for developing “a broad curriculum” for the Department of Recreation and Parks for youth interested in the performing arts. We also asked Rec and Parks about his assigned duties, what programs he will be responsible for setting up, and whether he has undergone a background check, a standard procedure used by the City School system for adults working with children. For the last two weeks, Pugh’s newly expanded public relations team has been busy. There have been a spate of “behind-the-scenes” videos of her activities – including her rebuking, and later visiting, a “squeegee boy” who was not in school – and op-eds appearing from the mayor in the Washington Post and Baltimore Sun. The Tucker Group is currently on a three-month, $40,000 contract. The mayor can extend the contract with Tucker for another three months on the same terms: a $240 hourly fee and up to $4,000 in expenses. – Fern Shen contributed to this story.